We have teamed up with Aneurin Bevan University Health Board to offer a new service to support people with psychosis. Psychosis refers to when a person has trouble working out what’s real and what’s not. The Early Intervention in Psychosis service (EIS) focusses on early detection and recovery from psychosis and is a combined service with NHS and Hafal, for people aged between 14 and 35 living in the Gwent area. EIS is based in the community and offers to see people where they feel more comfortable, whether in their own home or in a neutral location such as a coffee shop or outside space. To complement the service NCMH and ABUHB are working together to create a new website. To do this we have recruited a new member to our team, Craig Parry, who joined us at the beginning of June. 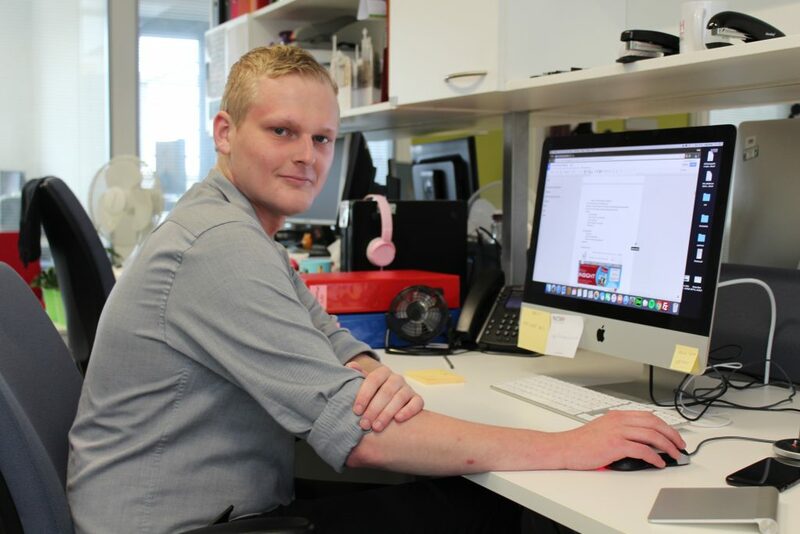 “I’ve recently graduated from the University of South Wales with a Bsc in Information Communication Technology, which is where I discovered my passion for web development. During my time in university, I built a website for a candle making company that creates candles for all of the major movies (Harry Potter, Pirates of the Carribean, Merlin and even the Royal Family). My new post is my first step into the big, scary world of full-time employment. My role is to develop a website which provides information and support for the EIS. The website will provide information on the symptoms of psychosis, the potential triggers and how to recognise the early stages of psychosis. There will also be guidance on getting referred to the EIS, both from being referred by your GP as well as self-referral. A typical day depends on my location. I am split between the EIS in Risca, which is where I’m from, and the NCMH in Cardiff. There is no telling what I could be doing from one day to the next. Some days I am at a computer working on the project planning, other days I am shadowing the nurses from the EIS and the Hafal support workers. I have been out introducing myself to people over coffee or meeting a group at a music ‘jamming’ session – I’m pretty good on the triangle! The biggest challenge of the role, in my opinion, is getting the information right. This is where shadowing and visits really pay off. I have met some people who have lived experience of psychosis and are in the final stages of their recovery. My time with them has been invaluable to find out what they would have liked to see on a website aimed at supporting them when they were first getting help.